Christmas with Dragons is finally live in audio. Some of you may have noticed it was on Audible already a couple of days ago, but I wanted to hold off my announcement until it filtered out to all the other retailers. You’ll find the links below. I’ve got a few updates for you all on the Dragon’s Breath series. A lot of people are wanting a date they can mark on their calendars for when future books will come out. Also, I’m still getting asked about audio for Dancing with Flames. Plus, I’ve got news about upcoming holiday novellas. My goal is to have the novel out on October 27th. It’s looking like it will be at least as long as Dancing with Flames, maybe longer. I don’t have a cover for it yet because I’ve had to switch photographers and models (long story). This means getting all new shots done for the rest of the series (which is going to be at least 5-6 more books). On a bright note, I’ll be using a team in the Oklahoma City area so I can actually be at the photo shoot, whereas before everything took place in Boston, MA. Other than one especially long trip, I couldn’t make it up there. I have the photo shoot scheduled for the middle of this month, and I’m in the midst of getting wardrobe and props organized for it. As my team of helpers can testify (thank God for their help), there is a lot that goes into these because you have to plan the poses, mood of the shots, and which garments/props the model will be using. It will take at least a week or so after the photo shoot for the photographer to get me the final images. I’ll pick the ones I like and get those to the cover designer to start work. For the dragon series, all the artwork is done from scratch so it can take another week or two for the artist to finish the design. Then I’ll have to have typography added. 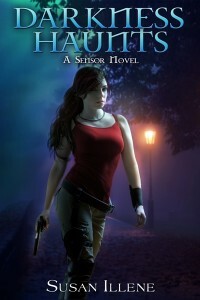 So the cover reveal will be much closer to the release date than what I normally do but please hang in there. I think this next cover is going to turn out awesome based on what we have planned. The audiobook is set to release on October 18th. Marguerite Gavin (the narrator) has had a rather full schedule, but she tweeted recently that she’d started recording the book. Those of you who are waiting for the audio don’t have too much longer to go! I mentioned a couple of weeks ago that I would be re-releasing the Kerbasi holiday story that was originally part of an anthology. That will be coming out on November 28th. I will probably put up a pre-order for that one once I have the cover designed. The Dragon’s Breath series will also be getting its first holiday novella. Book 3 (Forged by Flames) takes place from late November into early December. The Christmas novella I’m going to write will start about a couple of weeks after that on the series timeline. It will focus on what it’s like to celebrate the holidays in a post-apocalyptic world, and it will be a bit lighter than the main series novels. My plan is to make it somewhere between 30-40k words so it will be longer than any of the other holiday stories I’ve written so far. I’m hoping it will be meaty enough to have a paperback version as well for those who’d want it. My design helper team and I have some fun plans for the cover. It’s definitely going to have a Christmas with dragons sort of theme. The expected release date for it is December 15th. That’s it for now. Hope you all have a wonderful week! First of all, thank you to everyone who has picked up a copy of Darkness Wanes. I’ve appreciated all the wonderful feedback I’ve received via email and Facebook messages. If you’d consider leaving a review on Amazon or whichever retailer you use, I’d greatly appreciate it. The paperback should be out within two weeks for those interested. I’m getting it formatted now. Many people have asked about the audiobook and my publisher has set it to release on June 21st. Sorry it can’t be sooner, but hopefully the time will pass quickly! 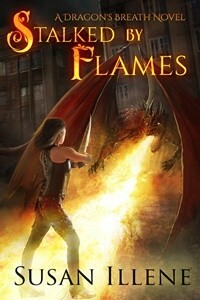 As for Dancing with Flames (book 2 of the Dragon’s Breath series), I have begun working hard on it. I’d done some of the preliminary work last year after finishing the first novel, but now I’m getting deep into the writing. One thing I’m enjoying is that with the apocalypse and basic world-building tasks are out of the way, I can focus more on the characters and plot threads with this installment. There will be some recap of events from the first book, but mostly I’ll be pushing the story forward. Yesterday, I spent some time on research I needed for the novel, going to visit a couple of sources for various information (don’t want to spoil anything). It’s amazing how many people are patient with me when I ask crazy questions related to the series and that they’re willing to help. I also walked through the location for one of the battle scenes and took a bunch of pictures I’ll refer to later. There was a skateboard park nearby. The guys there were giving me strange looks because I had to pass by them along my way while snapping photos (in another direction), but I ignored them. Unfortunately, their colorful ramps couldn’t figure into my story due to their location. This particular battle scene is already written, but my first drafts are bare bones with little description so I needed to get the proper lay of the land for when I do my revisions. I know a lot of people want a hard date for when the novel will be out. Believe me, I wish I could give it to you, but after all the delays with Darkness Wanes I’m a little nervous to do that just yet until I reach a certain point in the book. Nothing bothers me more than letting you guys down when I miss a target date. At the very least, we’re looking at two months from now. That is doable, barring any unforeseen circumstances. It’s spring, though, so keep your fingers crossed that Oklahoma doesn’t get another spat of tornadoes to distract me. Speaking of which, there are storms forecast for the next couple of days so I should probably get off here and get some writing done while the weather is still calm. Thanks again for all the support you’ve given me and for your patience. I’ll post another update later in the month.